I think that most people in Powell River know of someone who benefits from the unique therapy that the Powell River Therapeutic Riding Association provides to people with disabilities. I’ve heard about the love, dedication and vision of the people who run this organization, but a few months ago I had an opportunity to see it first-hand at their annual Ride-a-Thon fundraiser. I was there to cheer on some family friends; it was an incredible experience. With the assistance of volunteers, riders of all ages proudly rode their gentle horses through an obstacle course to demonstrate their hard-earned skills as families and friends cheered them on; it was truly their day to shine. The smiles on the faces of the riders, the volunteers and the supporters said it all – PR Therapeutic Riding makes a positive difference in the lives of many people. 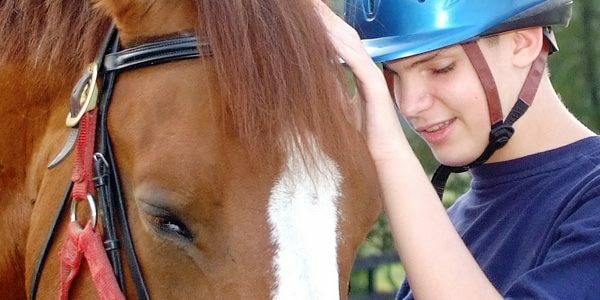 The Therapeutic Riding Association relies heavily on volunteers. Over 75 people, ranging from teens to senior citizens, participate as side walkers and horse handlers, fundraising coordinators, special events volunteers, grounds work crew, and board positions. Recently the society built new shelters in one of their enclosures and are planning to expand the paddock to make room for more horses. However, before they can do this, there is brush that needs to be cleared. We are excited to be able to help with this project as part of our Community Impact Day! On Thursday October 8 from 2 to 5pm, sixteen First Credit Union & Insurance and Westview Agencies staff members will be trading their dress shoes for gumboots and their computers for shovels to help clear the undergrowth and move it to a burn pile. Clearing this land will help the Therapeutic Riding Society to move to the next phase of their project which is to expand the paddock. Stay tuned for posts about other organizations that we will be volunteering for on Community Impact Day! If you would like to support the Powell River Therapeutic Riding Association, check out their website or Facebook page to find out how you can volunteer or making a donation. Next > Beaufort Children’s Centre to receive a chore busting boost on Community Impact Day!